The reptile's owner says the gator is like a dog to him. When you think "emotional support animal," you no doubt think of a dog. Meet Wally, the emotional support alligator. 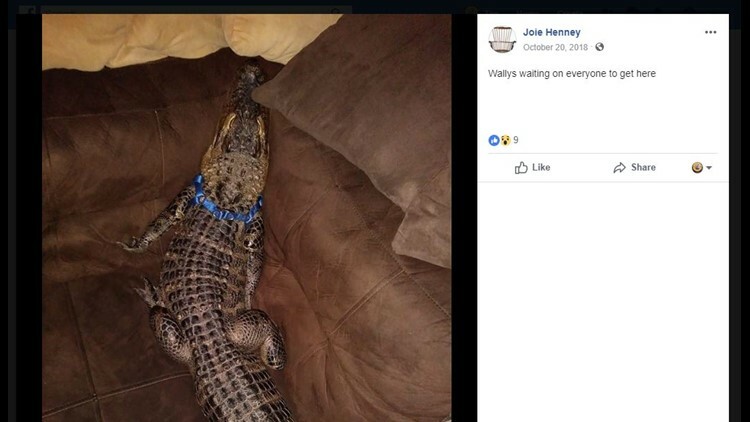 The York Daily Record in Pennsylvania reports Joie Henney took Wally, a 4 1/2-foot gator, to a senior center on Monday to meet the residents. Henney, who used to host a hunting and fishing show on ESPN Outdoors, says Wally is like a dog to him. He takes Wally to schools and senior centers, putting on a program about the animals. For more, read the York Daily Record report.